I like using quality craft products because it allows us to have a good experience with our crafts, without getting frustrated during projects. I like Crayola products because we can rely on the quality of their products. We use a lot of Crayola craft supplies to do arts and crafts. 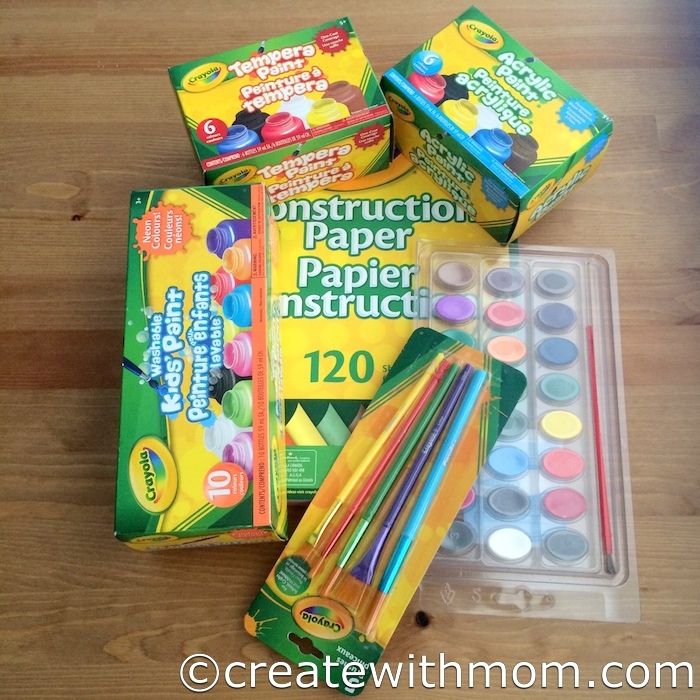 We found these new products and supplies useful during our summer craft projects. I have also kept some supplies ready for back to school. We love using Crayola products for many of our creative adventures, and find it handy to have Crayola products like their crayons, twistable fun effects, oil pastel, scented markers, stamper markers, doodle scents, metallic markers, glitter markers, coloured pencils, twistable coloured pencils, watercolour pencils, watercolour paints, acrylic paint, tempera paint, washable paint, construction paper, glue, and scissors. My children and I prepare for back to school by doing the following. We start practicing to get up early about a week before school starts. We start organizing school supplies, and getting things ready for school by labeling their new gear and making sure they have supplies they need for school. A couple of days before school begins, we talk to our children about school rules and expectations. How to handle and avoid situations that may arise. We remind them to tell us what happens during their school day, and how important it is for us to know everything that happens in school. We shop for a variety of different breakfast food like pancake batter, syrup, oatmeal, and cereal so there is a variety in the morning. I always remind my children the importance of choosing healthy food for lunch and snacks, so we bake a few goodies for the first week of school. We talk about what they need to do the night before school starts like getting the clothes ready, and making sure the supplies and homework is put in the bag. 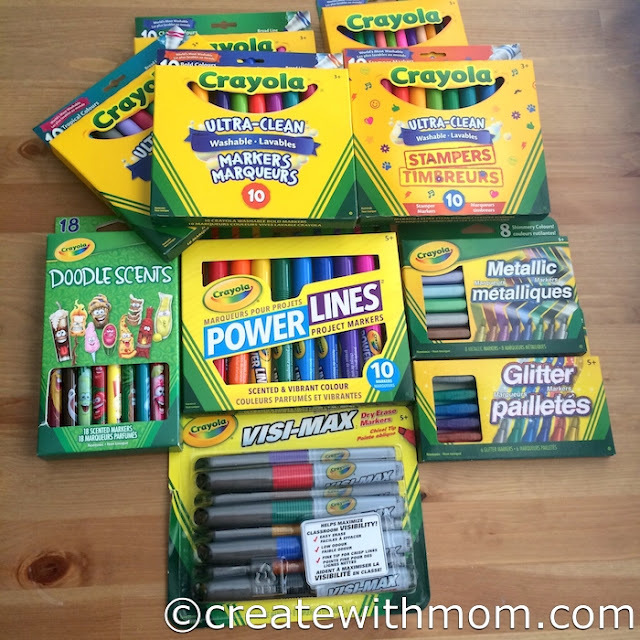 If you are in Canada and you would like to win $50 value Crayola craft products enter the giveaway below before August 30 through the rafflecopter below. I live in Newfoundland Canada. I always mix things up for back to school with different things. Ontario, check out flyers and buy items on sale. i live in manitoba and we don't have to go school supply shopping, the school does it for us which is nice. I live in BC. We homeschool so getting ready for school includes organizing the schoolroom, shopping for supplies and getting curriculum together. I am in Ontario, and as a blogger I started getting ready for back to school as soon as school was out! Bailey Dexter I start in the spring for school items. This time of the year I watch the flyers as well as price matching & coupons. This way when school starts I have everything! I live in BC. We start going to bed earlier towards the end of August. I live in Southern Ontario, and for back to school we get clothes, backpacks, lunch bags and pencils. I am in NL and I usually get new sneaker and some school supplies for the grandchildren for back to school. I live in BC and I start watching the flyers for sales about a month before school starts. I live in Ontario. I begin my shopping with flyers and seeking coupons. I live in Ontario! Still haven't been back-to-school shopping yet, this would be great!!!! We live in Nova Scotia and I plan early and only buy what we need. I live in Saskatchewan and I get ready by looking over the kids school lists. I then try to look for the best deals on the back to school supplies that they need. I live in BC! I try to get ready for BTS by slowly buying what I need during the summer as different things go on sale! Live near Toronto Ontario and we get ready by buying new clothes and school supplies for kids. I live in BC. We love to back to school shop to get ready for school - I love to hunt down bargains on new supplies, clothes, shoes and boots. The weekend before school starts we load up our fridge with all the lunch and snack items we will need, and other than that we don't do much prep. But I only have one of my children in school so far, and she is in primary level, so there is not that much to prepare for. We should probably start an earlier bedtime routine the week or so before school goes back, but that would cut into our summer fun so for now we just enjoy summer and she adjusts during the first couple of weeks of school. Maybe in the higher grades we will get her started earlier, but for primary she doesn't seem to struggle too much. I live in Ontario. We stock up on school supplies throughout the summer whenever we see a good sale. Garage sales can be great for pens/arts supplies as well. I am in Ontario and for getting back to school I check the condition of the kids backpacks, pencil cases and supplies to see what needs to be replaced. I'm in BC and we purchase throughout the year so there isn't really a back to school shop. I'm in BC. I usually make a list of things we already have and things we will need to purchase for the new school year. Then I wait for a sale and knock off those items off the list. I'm in Alberta, there's always a big shopping list for my grandchildren, clothes, school supplies and lots of other things too. You have to plan ahead as much as possible and keep an eye out for the best deals. go through last years supplies and see if anything new is needed and then search the flyers weekly to find great buys. I love in BC. We usually get some clothes at Costco and school supplies at Walmart and Staples. I live in Ontario. I check the backpacks and see if they'll make it another year, lunch bags, reusable containers, uniforms & running shoes fit and labels for all of the above. I live in Ontario and order all back to school supplies online and avoid the stores. We live in Oshawa, ON & we get ready by buying new school supplies, clothes & shoes! I'm from Alberta.We watch the flyers for sales! I am in Ontario. My favourite back to school memory was buying new binders, pens/pencils and a pencil case. I will continue this tradition with my daughter. Ontario. I already ordered new uniforms soon as I saw they were on sale. Now just to watch for a backpack! I live in Southern Ontario and I do worksheets and try to stick to a schedule throughout the summer to keep the kids ready for school. I'm from Ontario. Shop early and for school stuff that is on sale. Alberta! A big clothes shopping trip and supply shopping! Im in ontario. we go shopping for a new backpack/lunchpail. and we need new uniforms plus the usual stuff, pencils etc. I'm from ON, and we prepare as much as we can the night before. I live in Alberta, and we prepare as we can. Try to buy things throughout the year. I live in Ontario. We like to get out and buy everything we need and try to avoid the rush but I think a lot of people do the same thing lol. I live in Ontario. I work in kindergarten so not only am I getting my own family ready for back to school but also preparing my class and planning some neat activities for the first week. I live in ON, and I don't do much besides shopping for supplies. I live in Ontario and I usually do a shop for school supplies. I live in alberta and buy school supplies, clothes and shoes for back to school. I live in Ontario and we get ready for back to school by preparing the kids to wake up early a week before. I live in southern Ontario. I like to start in early August to get ready for back to school. I make lists for each child and do one kid a week to spread it out! I am in Ontario. We only really need to buy clothes and supplies (crayons, pencils, etc) for Back-to-school. ON here.....our supply list this year is pretty minimal, and I like to search online for sales! I live in Ontario. 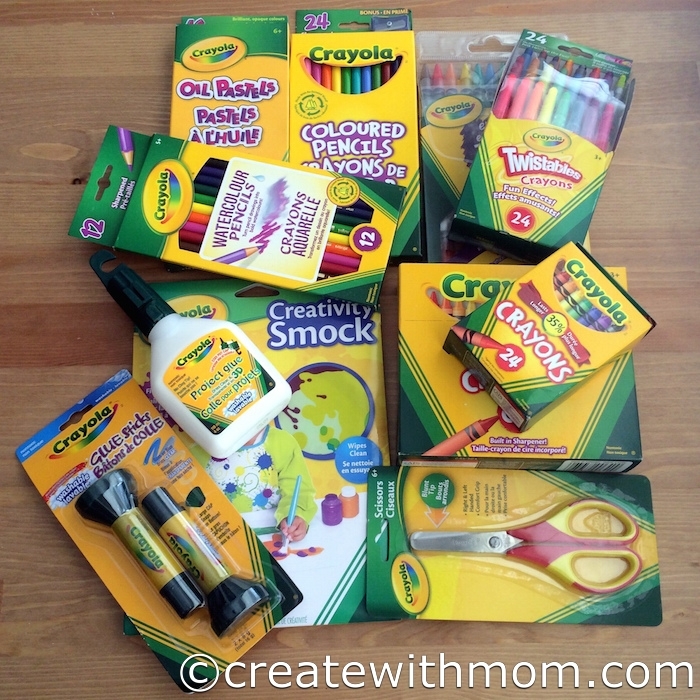 When we're getting ready for back to school we dig out all of last years supplies to see if anything is salvageable (locks, extra paper, pencil crayons), then we make a shopping list and pick up the new stuff. We also always buy at least 1 new outfit and new shoes if we can. I am from Ontario. I haven't done anything yet but make a list :-) I need to get new indoor shoes and a backpack for my son. I am from Saskatchewan. We go to the store and get some new outfits. I'm in Toronto, Ontario. We buy a few outfits, new boots & shoes, a ton os school supplies & a winter coat & spring jacket, if needed! I live in Nova Scotia..We go through previous years school supplies and make a list of things we don't have .. We buy a new outfit and sneakers. I live in Alberta. I love helping with my grandsons back to school shopping and getting him a new outfit or two. I live in Montreal. We look for sales every weeks. In New Brunswick, and we get new pencils and paper. Get the school books all organized. I live in Vancouver. I make sure I get my kids names on all their suplies, get their out fit ready. In T.O, I need jackets and skates for BTS. I live in Ontario. I watch the flyers and pick up basic supplies when they go on sale. I'm in Ontario. This is the first year that my kids have gone to school. They start in less than two weeks and I don't even have a crayon yet. Better get started! we live int he GTA and need to get quite a few things, still. I live in London Ontario and the first thing we do when getting ready to go back to school is figure out what we have already. Then we go shopping to fill in the blanks. I live in Ontario. We start BTS shopping at the beginning of August. Mid Aug. we start the bedtime ritual for school to get in the swing of it. I live in Ontario. I make a list of things I need to purchase, then look through flyers to get the best deals. I live in Ontario and I make a list of the items needed, then check flyers & on-line for sales before going out shopping. I live in Ontario and we make a list in July to see what school supplies we need. We start buying in august when back to school sales start. I live in Ontario. We get ready for back to school by purchasing school supplies, clothes and other supplies needed in August.